Senior Advocate Gaurav Pachnanda has accepted door tenancy at the UK’s Fountain Court Chambers, effective September 1, 2016. Pachnanda is the fourth Senior Advocate from India to join a set of Barristers’ Chambers in London. Harish Salve joined Blackstone Chambers in July, 2014, while Gopal Subramanium joined 3 Verulam Building in November 2013, and Gourab Banerji joined Essex Court Chambers in October, 2014. Pachnanda studied Law at the University of Jammu (LL.B., 1996) and at Corpus Christi College, University of Oxford (B.C.L., 1997), where he was elected a Felix Scholar. 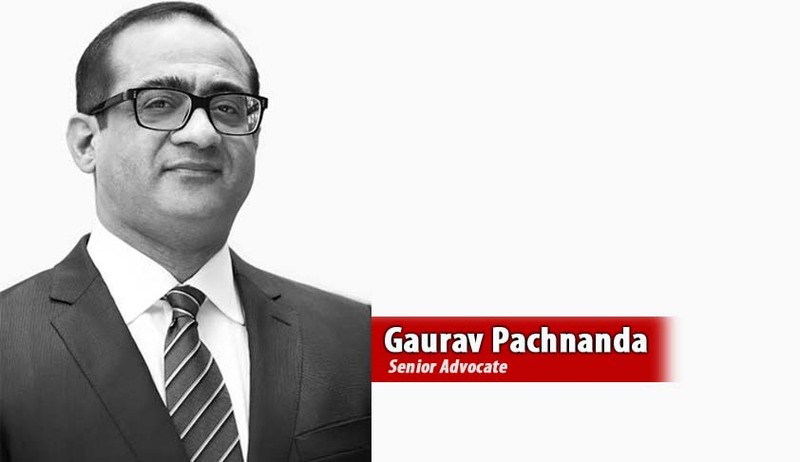 He was the Senior Additional Advocate General for Jammu and Kashmir, in New Delhi, from 2010 to 2015, representing the state before the Supreme Court of India. He is a registered Foreign Lawyer at the Singapore International Commercial Court. Fountain Court Chambers is a set of self-employed commercial barristers, with Chambers in the Temple, London. Fountain Court has long been regarded as a premier set within the ‘magic circle’ of leading Commercial Chambers of barristers in London. Amongst those who have been or are a part of Fountain Court are Lord Bingham, Lord Goldsmith PC QC, Lord Falconer and Lord Justice Underhill. Its current Door Tenants include Sir Francis Jacobs, former Advocate General, Court of Justice of the European Communities (1988-2006).